Infertility affects 1 in 6 couples, many of whom turn to IVF as a solution. However, IVF is only available on the NHS if you meet certain criteria such as a particular age or BMI, whether or not you or your partner already has a child, and many other factors. Worse, these factors may vary from area to area and sometimes it can be quite difficult finding what the funding rules actually are. An alternative option is private treatment, which although more costly, comes with many benefits. At Concept Fertility, for example, we are far less selective with our patients. We treat anyone who needs our help and do not reject patients who have a lower than average chance of a successful pregnancy. You don’t even need a referral from your GP to see us. We will meet you for an initial consultation no matter who you are and what your situation, which will help us advise what the best course of action is for you. Private clinics often operate in a much more intimate environment than a large NHS hospital. This ensures that each of our patients feels valued and respected, rather than feeling like a number in a bigger and busier environment. With a small and devoted team, we here at Concept Fertility are able to truly get to know each and every patient and stay with you throughout your journey to becoming a parent. In other words, you won’t have to see a completely different doctor or nurse with each visit to our clinic. Another excellent benefit of a private IVF clinic is the lack of wait time. We do not have a waiting list at Concept Fertility, meaning you can proceed with treatment much sooner than if you were receiving IVF treatment on the NHS. 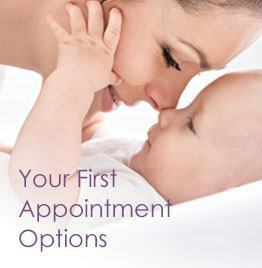 We also offer early morning appointments on Mondays, Wednesdays and Fridays, meaning you can visit us before work. This is ideal if you don’t want your colleagues to know you’re having treatment. Fertility treatment is an emotionally challenging experience, particularly if it is unsuccessful. At Concept Fertility, we work with a specialist fertility counsellor who can help you manage and alleviate any difficult feelings you go through during or after your treatment. If you are considering a private IVF clinic for your treatment, please feel free to fill out our contact form or give us a call. We’d be more than happy to answer any of your questions or book an initial consultation for you.